Home Tags Posts tagged with "military action"
President Barack Obama has urged his Russian counterpart Vladimir Putin to pull his troops back from Ukraine. In a 90-minute phone conversation, Barack Obama urged Vladimir Putin to pull forces back to bases in Crimea. Vladimir Putin responded by saying that Moscow reserves the right to protect its interests and those of Russian speakers in Ukraine, the Kremlin said. Meanwhile, Canada has recalled its ambassador to Moscow for consultations. Canadian PM Stephen Harper said he was also suspending Canada’s preparations for a G8 summit in the Russian resort of Sochi in June. Ukraine says it has put its army on full combat alert after Russia’s parliament approved the deployment of Russian troops. Ukraine’s acting President Oleksandr Turchynov said he had also stepped up security at key sites, including nuclear plants. According to the White House, Barack Obama told Vladimir Putin that the appropriate way to address any concerns “is peacefully through direct engagement” with the Ukrainian government and international mediating bodies. “President Obama expressed his deep concern over Russia’s clear violation of Ukrainian sovereignty and territorial integrity,” the White House said. Barack Obama told Vladimir Putin his actions were a “breach of international law, including Russia’s obligations under the UN Charter, and of its 1997 military basing agreement with Ukraine”, a statement added. The Kremlin said that in his phone call with Barack Obama, President Vladimir Putin “underlined that there are real threats to the life and health of Russian citizens and compatriots on Ukrainian territory”. As diplomatic efforts increased, US Secretary of State John Kerry said he had spoken with foreign ministers from Europe and Canada as well as EU foreign policy chief Catherine Ashton and the Japanese envoy to the US “to co-ordinate on next steps”. The UN Security Council held an emergency session on the crisis on Saturday, and NATO has called emergency talks to be held on Sunday at 1200 GMT. 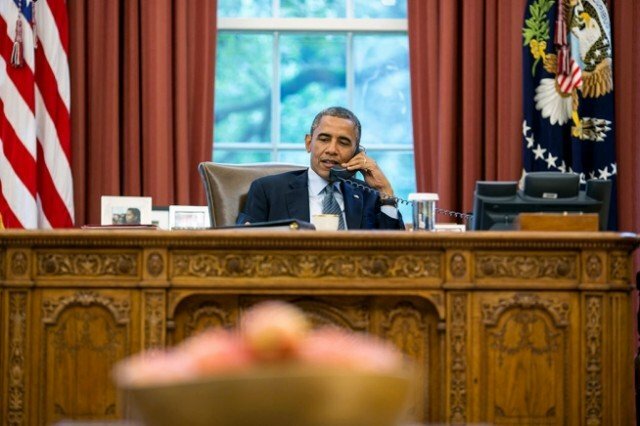 President Barack Obama has warned Russia against any military intervention in Ukraine. The US president said he was deeply concerned by reports of Russian military movements inside Ukraine. Ukraine’s acting President Oleksandry Turchynov has accused Russia of deploying troops to the Ukrainian region of Crimea and trying to provoke Kiev into “armed conflict”. Crimea’s pro-Moscow PM Sergey Aksyonov has asked Russian authorities for help in maintaining peace in the region. “I appeal to the president of the Russian Federation, Vladimir Putin, to provide assistance in ensuring peace and tranquility on the territory of the Autonomous Republic of Crimea,” Sergey Aksyonov said in a statement. Sergey Aksyonov, who was appointed by the Crimean parliament on Thursday, also said he was taking control of Crimea’s interior ministry, armed forces, fleet and border guards “on a temporary basis”. The new cabinet in Ukraine is due to meet for the first time on Saturday to discuss the deepening crisis over Russia’s reported military deployments. Russia’s UN ambassador earlier insisted any troop movements in Crimea were within an existing arrangement with Ukraine. Overnight reports said armed men in unidentified military uniforms had seized another airfield. On Friday they took over airports in the Crimean capital, Simferopol, and Sevastopol, where Russia’s Black Sea Fleet is based. Ukrainian media citing local officials said 13 Russian aircraft carrying nearly 2,000 suspected troops had landed at a military air base near Simferopol. The report remains unconfirmed. Russian armored vehicles and helicopters were also seen in and around Simferopol and Sevastopol. Flights from and to Simferopol were cancelled with airlines saying airspace over the peninsula had been closed. The armed men also moved in on Crimea’s parliament, state television building and telecommunication centers. Speaking from the White House, Barack Obama commended Ukraine’s interim government for its “restraint”. “Any violation of Ukraine’s sovereignty and territorial integrity would be deeply destabilizing, which is not in the interests of Ukraine, Russia or Europe,” he said. The president did not spell out what any US response might be. In a TV address on Friday, Ukraine’s interim President Oleksandr Turchynov said Moscow wanted the new government to react to provocations so it could annex Crimea. 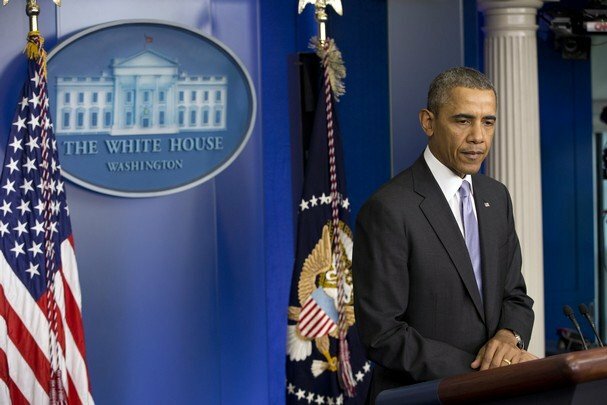 President Barack Obama says he will seek congressional authorization for taking military action against Syria. The US says the Syrian government carried out chemical weapons attacks on August 21 in which 1,429 people died. Barack Obama said the operation would be limited in duration and strong to deter future chemical attacks. Congress is due to re-open on September 9. President Barack Obama said the military operation could happen tomorrow, next week or in the near future. “We cannot and will not turn a blind eye to what happened in Damascus,” he said. 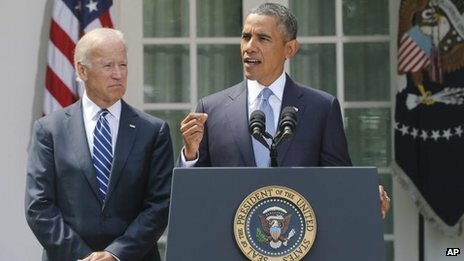 As commander-in-chief, Barack Obama has the constitutional authority to order military action without the backing of Congress. Last week, British MPs defeated a government motion to take military action in Syria. Russian President Vladimir Putin has challenged the US to present to the UN evidence that Syria attacked rebels with chemical weapons. Vladimir Putin said it would be “utter nonsense” for Syria’s government to provoke opponents with such attacks. Russia – a key ally of Syria – has previously warned that “any unilateral military action bypassing the UN Security Council” would be a “direct violation of international law”.